I guess I’m writing this as a last resort from loosing my mind. For the past 6 yrs I’ve been going back and forth with my current bf. who is most definitely an alcoholic. I’m also pretty sure he is bi-polar as well, but that’s another story. JC: Kalynn, I am so sorry to hear you are having to deal with such difficulties. We just had a very lengthy discussion last week in relation to a young lady who is considering marrying an alcoholic. You might want to check out all of the amazing comments by clicking here: Alcoholic Boyfriend Refuses To Get Help. these habits would take the rest of my life. Smiling just made my A more angry! Would cause me of laughing at him..it got so bad screaming,throwing things, stand in front of computer saying it Would be ashamed if I smashed it……then the next breath tell me he loved me! Craziness…..leave then he would follow me to car! U aren’t what you think you are…..he’s smart enough not to do these things in front of people! Few times Hyde has shone his face in public. I am always sorry to hear what you are going through. You say you don’t know what to do, but I believe you do know what to do, you are just afraid to do it. Fear of truly walking away and never looking back is a very scary thing….but in the end, you will be saving your own life. You are so lucky that you are not even married with children! Your “love” won’t be enough to sustain a life of roller coaster riding, and that is exactly what your future will be like until you get the courage to run the other way. Your future relationship will be exactly what the past has been. In fact, it usually gets worse before it gets any better. You have a choice. You are at a fork in the road. Do yourself a huge favor and release yourself from the ball and chains that comes along with being in an alcoholic relationship. Face the truth as the truth shall set you free. You only have one life to live. This is not a dress rehearsal. Listen to that still small voice inside you. It prompted you to write on this sight. I truly pray you take the advice from all those who have been there. The end of the story is rarely ever pretty when it comes to alcoholism. I wish you well and pray for your courage to accept the things you cannot change, the courage to change the things you can and the wisdom to know the difference. Wishing you the best in your journey as you deserve it!!! My boyfriend too is hurting me… My story is awhole lot different than anyone else’s I’ve read. He has PTSD is 52yrs old now. I try to understand but I just can’t seem to as I’ve never had any kind of addiction my entire life! He has gone through hell as a child by his Dad sexually abusing him & having him in a cult as a young child. His brother shot a pee shooter with a nail through his right eye at age 7 leaving him blind in one eye. His Mother tried her best trying to raise the 4 children but was over whelmed and had to send them back and forth to Holland throughout their childhood. He has been in treatment may times without total success! He is the most wonderful, loving, kind hearted person you could ever meet while sober. He tells me each and everyday how much he loves me & how beautiful I am to him. He falls off the wagon about every 7 – 8 mths and locks himself in his house and just drinks for a week or two straight. He either ends up in jail or hospital with fines from the police for being drunk in a public place as he walks to & from the liquor store. He always winds up with bloody wounds on his face and body I guess from falling down. He is self employed so has no one to answer to except himself when he doesn’t go to work. I’m thinking this is never going to change!! He knows how much it hurts me and my family and he knows he has a problem but says he doesn’t know how to fix it when he gets to the stress level in his life and everything keeps crashing down he ends up every time to the drinking stage. We go to counselling together & he goes also on his own. It works great until life gets too overwhelming for him! He has also written a book about his life experiences & he has just gave it to a publisher which she loves the story so it maybe out on the shelfs soon. Is there any help for him…. Any comments one can give would be greatly appreciated. Thank You!!! We all have different stories to a degree but for the most part we all experience the same things. You have to decide if your life is worth the hell he us putting you through and if you want to continue with the day in day out drama. Yes it will be hard; the hardest thing you emotionally go through. Saying that, he won’t change unless he wants too and there is absolutely nothing you can do unfortunately. Trust me I know. Love him from afar but….learn to love and respect yourself more. Run as fast as you can away from him. Somehow, someway GET AWAY NOW. I believed for 32 years he’d turn it around. Now he is in jail for hitting me across the face with a beer bottle. I have a scar & the stitches were just removed. My Alcoholic would never have done this when I met him. The disease is progressive. It gets way worse. We weren’t even fighting when this happened. Even when people go to treatment most of them do not make it. I’ve been sober for 37 years now, but almost no one stays sober that long. My husband was sober for 11 years & it was great, but he decided to go back & my life was destroyed right along with his. Then if you have kids there’s a good chance they will inherit the disease & their life will be hell & yours along with theirs, too. It is not worth the pain & suffering for all involved. We have no kids and honestly I’ve never even seen him drunk. He stays away in his own house & I don’t hear from him until he sobers up. I drive by to make sure his home isn’t burned down or something. We live about an hour away from each other and he doesn’t drive or have any friends as he moved to my city to be closer to me. His mother has Alzheimer’s & is in a home in another city over 20hrs away! He has no contact with his father or brother for more than 17yrs now. His one sister he talks to on occasion a couple times a year. He really has no one in his life so I feel I have to give my all to help him the best way I can!! I feel sooo bad for him & all that he has gone through in his life and can’t imagine how he has coped thus far… We really do need help to conquer this disease!!! It took me 20 years to finally walk away from my husband. His drinking was self-sabotaging as well as extremely toxic to my health and well-being. I spent years in therapy and Al-Anon. He never got any help and never changed. I had to leave him for my own sanity, and also to stop allowing him to hurt me. I still feel sadness and love for him, but he is not healthy and neither was I as long as I remained a prisoner to “his” addiction. My best advice to you, is to get the help you need. Pray that he gets it for himself, but that is all you can do for him. Guilt, manipulation, threats, tears, arguing, etc., are all a waste of time. Each person is responsible for their own choices. Take care of yourself. The only thing sadder than a person losing a fulfilled life to addiction, is when two people lose their life to it! Your life is important too. You can’t save him, but you can save yourself!!! It is a very lonely life living with an alcoholic. They can be very social outside the house, but when they get home, they usually fall asleep! They drink until they can’t anymore and pass out. It is a disgusting life at best. The end result of fatty liver, esophageal cancer, diverticulitis, etc., will keep a loved one a prisoner in their home because the disease takes over and it gets worse. Alcoholics will ruin the health of a companion/spouse. RUN. There are so many wonderful people in this enormous world! There are many fish in the sea. Healthy fish. Why would you want to be miserable? I say listen to your still small voice, which I think you know is saying ” run, baby, run.” If he really loved you he would not hurt you. Choose to be truly lioved! A little late posting….. two weeks after everyone else. Haven’t spoken to my “best friend” in 3 months now…. his doing. He is a bad alcoholic. All of the above commentaries, I could have written. I can only imagine the lies he has told about me. I was the best thing that ever happened to him. Unconditional love. But the lying, blaming others, sarcasm, bizarre behavior….. people …..neighbors, colleagues, friends subtly told me to make a break. Relationship was 95/5. a wonderful talented life. uses and manipulates people. 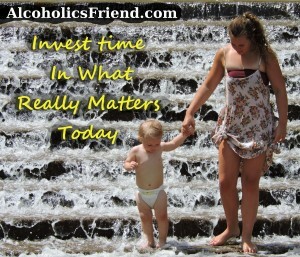 Alcoholics think differently . their brain is dried out as their organs are. Still love him. But everyone involved with an alcoholic needs to have respect for themselves!!!!! Don’t be on a ship that is sinking. Don’t think I am swimming yet….I’m learning to swim. Make a break and pray. Can only change you! Peace.